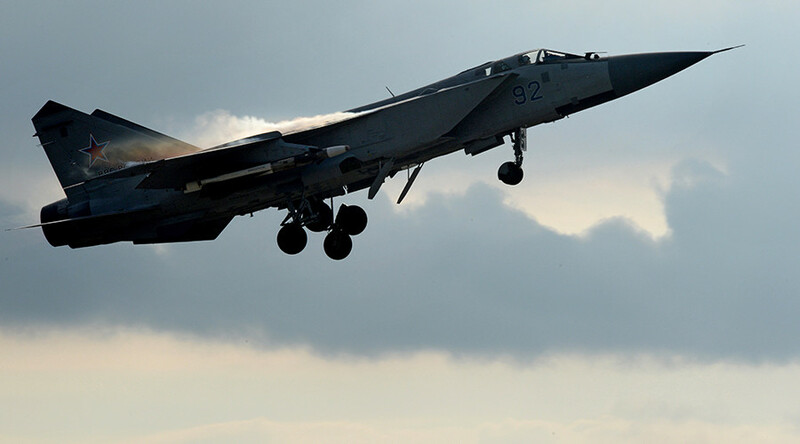 A Russian MiG-31 fighter jet has crashed in the Krasnoyarsk region in Siberia, according to the Russian Defense Ministry. The pilots were able to eject safely and no casualties have been reported. The war plane was not carrying any missiles and did not cause any damage on the ground when it crashed. Preliminary reports say that a technical failure was responsible for the plane going down. The Defense Ministry confirmed that the pilots were able to eject from the plane safely, and once they landed they were in radio contact. An investigation team from the ministry is heading towards the crash site to try and find out what caused the plane to crash. The Mikoyan MiG-31 (NATO code name ‘Foxhound’) is a Soviet-design supersonic interceptor and is one of the world’s fastest aircraft. MiG-31 production was suspended in 1994 and a program is underway to modernize all of the planes of this type that are operated by the Russian Air Force.